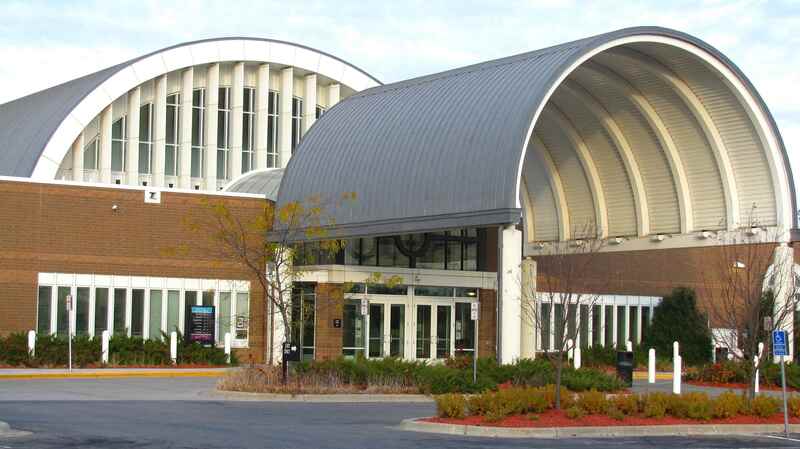 The Eden Prairie Library was designed by architecture firm Bentz/Thompson/Rietow. The building’s innovative design included features such as maximizing light and energy efficiency, including a barrel-vaulted roof, arch-topped windows and the use of Minnesota’s first hydrogen-powered fuel cells, which generate power by converting chemical energy into electricity. Because of an unplanned construction stoppage, portions of the building sat open and exposed to the elements for several months. At the request of Hennepin County, we conducted a preliminary site walk-through to review the overall building condition prior to restarting construction. Water intrusion was evident in several interior areas, so we conducted a building assessment to determine the existence of building material damage or potential indoor air quality concerns. We took thermography measurements to evaluate the moisture content with the building’s perimeter walls. The results were used to determine if the existing insulation board on several walls needed to be removed and completely dried out before completing the interior wall finishes. The interior conditions were visually evaluated within 14 separate electrical Walkerducts. Based on our initial observations and recommendations, all of the salvaged air-handling units and ventilation ductwork were cleaned and decontaminated. Surface swab samples of the air-handling units and ductwork interior areas were analyzed to verify the effectiveness of the duct cleaning process prior to completion of the mechanical system.